Are you currently searching for basic knowledge about motorcycles? It is likely that you would like to know more about it because you are planning to purchase your own. Before you would decide to hop on the motorcycle and just ride away, there are some basic things that you have to learn about first. Throttle – This is on the right handlebar and you can control how fast your speed is going to be simply by twisting this. When you roll it towards you, this means that you are trying to move faster and if you twist it outwards, this means that you are lessening your current speed. Clutch – Contrary to what people believe in, there is a clutch in motorcycles and this one is located on the left handlebar. It needs to be squeezed to lessen the power of the wheels of the motorcycle. It would need to be released to increase the power. Front Brake Lever – This is the brake lever that will control the front wheel. Rear Brake Lever – This is the brake lever that is meant to control the rear wheel. Gear Shift Lever – This is located near where you are going to place your left food in motorcycles. You would have to lift it in order to change gears. Ignition – You can use your key to turn it on or off, park it or lock it. Fuel Supply Valve – This will allow you to know how much fuel you still have. Headlight Beam – Best to be used for different weather conditions and at night. Horn – For beeping other motorists. Indicator Lights – This will give you information about how your motorcycle is operating. Side and Center Stands – This will keep the balance of your motorcycle when not in use. Just do not forget to disengage before you use your motorcycle. There are a lot of people who say that the motorcycle is easy to control but safety is always a must because the rider is more vulnerable and more likely to be harmed if an accident happens. This is because unlike in cars and other vehicles, the body of the vehicle may provide extra protection. A lot of people have lost their lives because of riding the motorcycle. 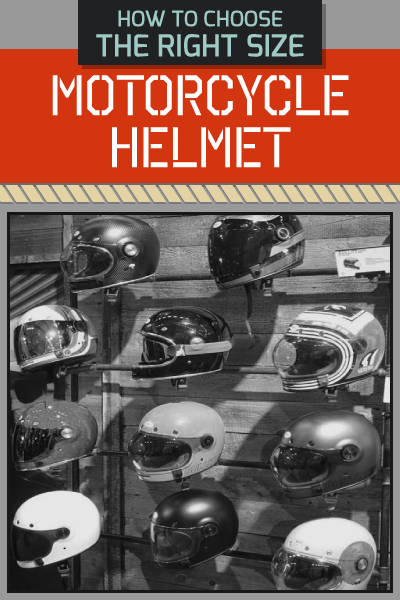 Aside from the standard helmet, there may be a need for you at times to wear a protective coat so that if in case you do get into an accident, you will have more protection. 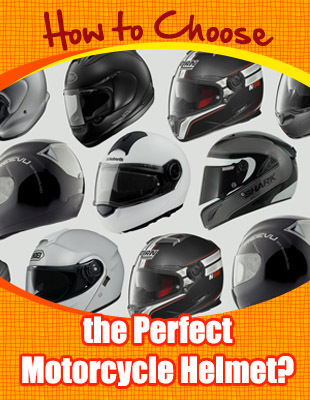 Choosing the right helmet can be a bit complicated though but as long as you would read proper reviews, you know that you will get what you need. It does not necessarily mean that just because the item that you are considering is the most expensive one, it is already the most effective. Before you can start using the motorcycle to get from one place to another, you need to make sure that you will train well. You can first start with parking your motorcycle. Even if you are only using a motorcycle, you know that you need to know how to make it work and you can only do this by training properly. Are you aware that there are different motorcycle types that are available? You may not realize it but when you look at things closely, you will see that motorcycles each have a different look to them and the controls may not exactly be the same. 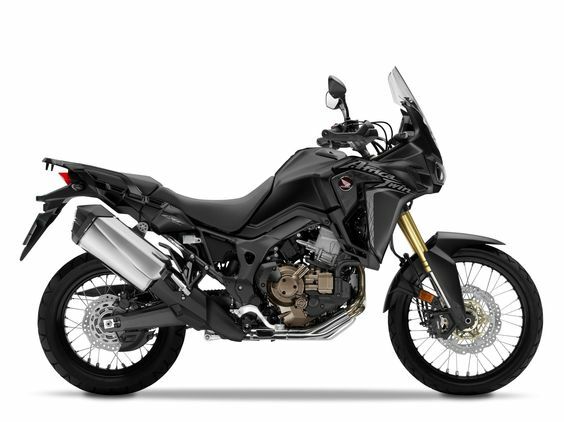 Knowing what the bike options are can be very beneficial for you so try your best to know what the options are. 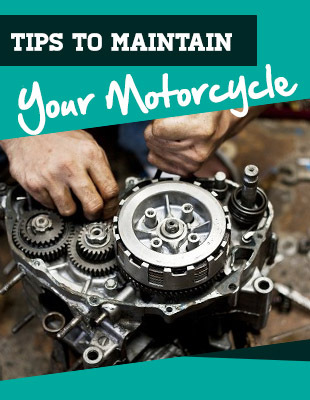 You may also want to consider if you are going to buy a brand new or used motorcycle. There are some second hand motorcycles that are in good condition that will allow you to make use of it for a long period of time even if you did not pay a lot of money for it. One of the greatest mistakes that people make when riding their motorcycle for the first time is assuming that they can go as fast as they can. This is not always the case at all. You have to remember that when you cycle, you need to be familiar with the controls first. This may be a work in progress. You do not need to know how to ride the motorcycle immediately. The rules of the road also applies to you even if you are only using a motorcycle. This means that you have to be familiar with the various road signs as well as the other rules that you may not be too familiar with in the beginning. There are some downloadable manuals that are available online that can surely help you out. Once you already have your motorcycle, consider the extras that you still need to have to make it work and get to know more information about it. In due time, you will be prepared to start cruising around with the use of your very own motorcycle.